Once you decide to replace your roof, choosing the right material can be a major challenge. With so many options available, it can be hard to know which roofing material is the best fit for your needs. Roof Time, Inc. understands the pros and cons of every roofing material, and we can help you find the right solution for your home! We have years of experience working with all types of roofs, and we will provide a quality installation no matter what you choose. If you’re interested in asphalt shingles, wood shingles or any other roofing material for your home, call us today or click below to learn more! 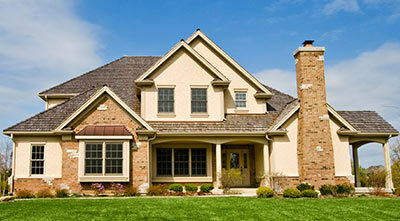 We offer free estimates on all our work in St. Paul, Minneapolis, Eden Prairie and the nearby areas. As an added benefit, roof repair can be handled relatively easily with asphalt shingles. The roofing pros at Roof Time, Inc. can help you decide what type of asphalt shingles are the best fit for your home depending on your needs and budget. If you’re looking for a unique appearance for your home, wood shingles and shakes are a great option. Wood has beautiful finished look as a roofing material and provides great durability. Wood shingles are cut with a saw and have a consistent thickness and shape, while wood shakes are split and are usually thicker and rougher. Either option can be used depending on the look you want to achieve and the style of your home. 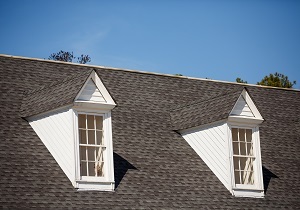 Wood is a great roofing choice, but it will require more maintenance than an asphalt shingle roof. Wood shingles and shakes are typically more expensive to install as well. However, the benefits of wood shingles still make them a popular choice — especially for historic homes. Unmatched beauty. Although there are some maintenance challenges, it’s hard to beat the appearance of wood shingles. Call us today to get started with a free estimate in St. Paul, Minneapolis, Eden Prairie, Prior Lake, Maple Grove, Burnsville, Shakopee, Cottage Grove, Apple Valley, Lakeville and the nearby areas!